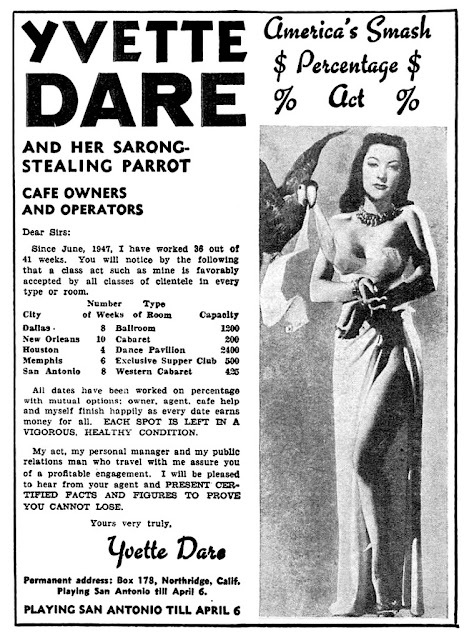 As I near the completion of my latest fantasy novel I'm looking forward to my next project, a noir detective novel featuring a World War II era burlesque dancer famous on both sides of the Atlantic named Yvette Dare. 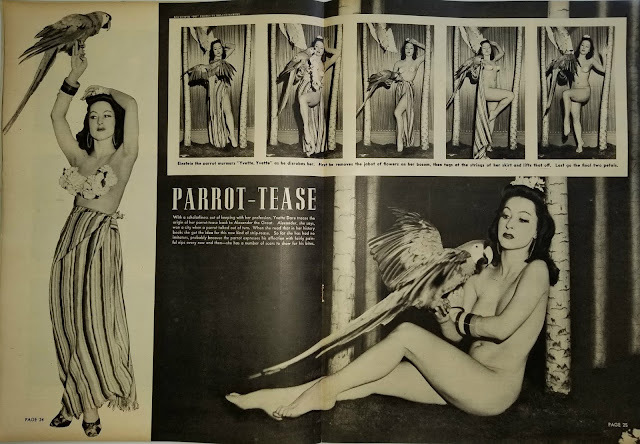 Performing from the late 1930s until at least 1950, she had a strip tease act that featured her scarlet macaw parrot named Einstein taking off her clothes to the beat of music. 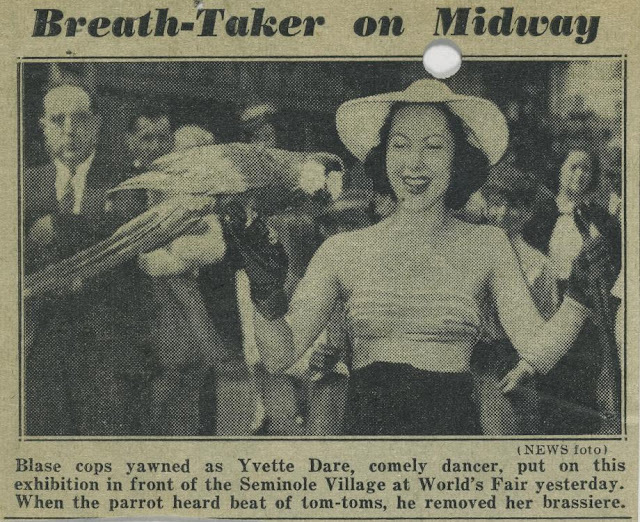 Not only was Yvette Dare a parrot person, she apparently also was a history buff and it was her reading of Greek history that supposedly gave her the idea for the act. What a great focus for a noir novel. 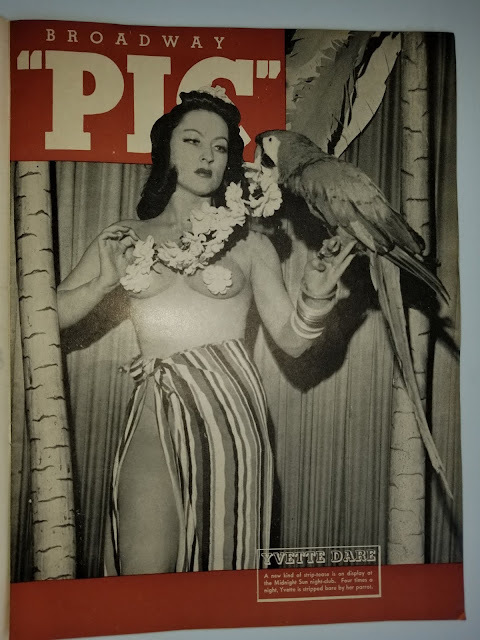 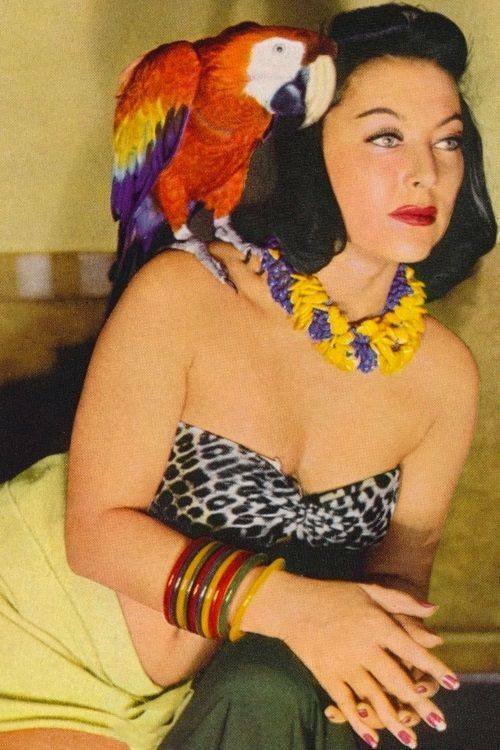 A World War II stripper with a parrot and a love of history. Of course, this being World War II, there will be Nazis and Nazi gold involved, and secret documents that could change the course of history. 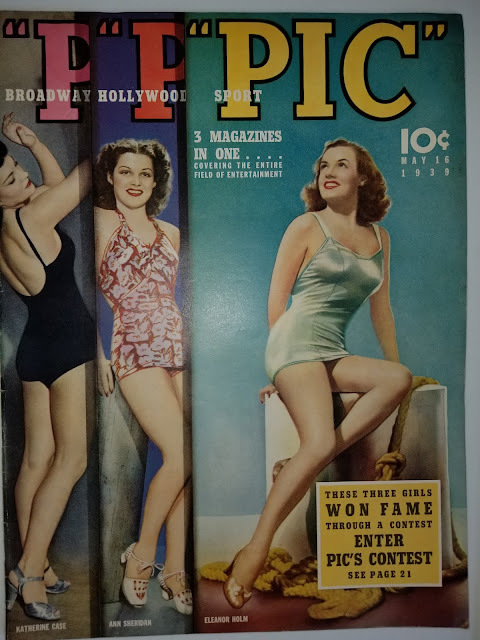 May 16, 1939 issue of the entertainment magazine PIC, costing a whole dime!